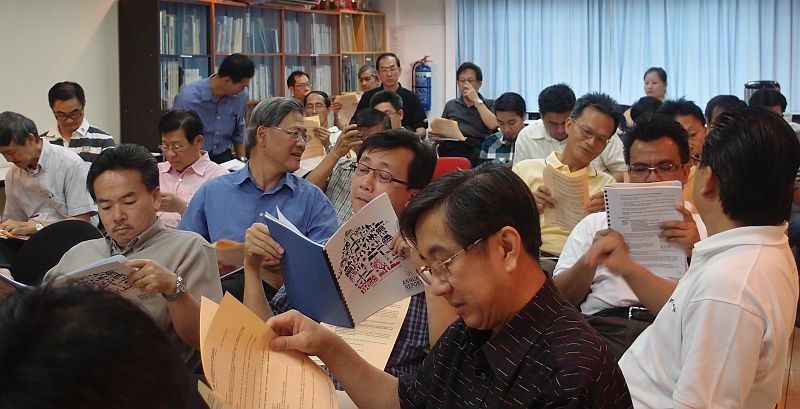 The 36th Annual General Meeting of PAM Sabah Chapter was held on 06th August 2011, Saturday at 10.0am at the Chapter Mini Auditorium. The AGM was attended by 48 corporate and 5 graduate members. Ar. Lim Koi Hoe who was appointed as Election Officer earlier on, requested to nominate 2 scrutineers to assist in vote counting. The floor then nominated Ar. William CK Ho and Ar. Ronald SK Tang. The election of the Chapter Committee was conducted in accordance with the PAM Constitution and Bye-Law where no floor nomination is allowed. This AGM was both interesting and exciting as there are two contests; for the post of Chairman and Vice Chairman. There were four nominations received at the close of nominations at 12.30 pm on 16th July 2011. Two nominations were from Ar. Lo Su Yin and Dr. Tan Jun Kwang for the post of Chairman and another two nominations were from Ar. Jebb Liew and Ar. Arnold Kwan for the post of Vice Chairman. Counting of votes was done by the Election Officer, Ar. Lim Koi Hoe and assisted by his deputy election officer, Ar. 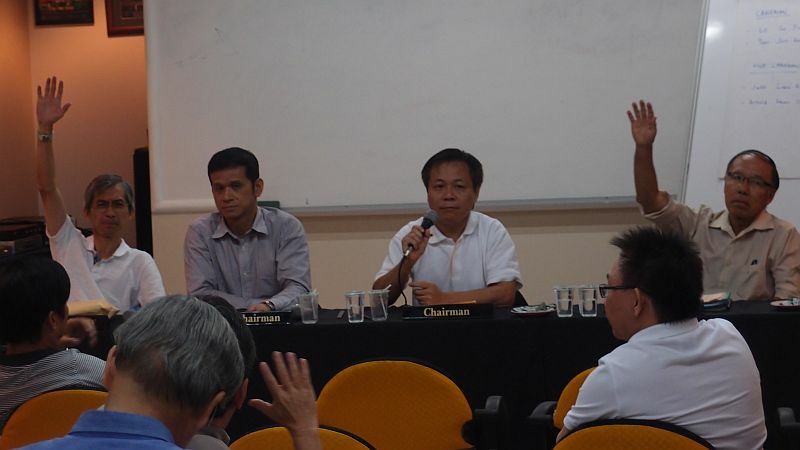 Chin Yin Tet and the 2 scrutinizers appointed when the AGM commenced at 10.15am. The result was announced by the Election Officer, Ar. Lim Koi Hoe after the tea-break at 11.30am. Ar. Lo Su Yin was declared as the elected Chairman 2011-2012 with 38 votes against Ar. Dr. Tan Jun Kwang who only garnered 31 votes. Ar. 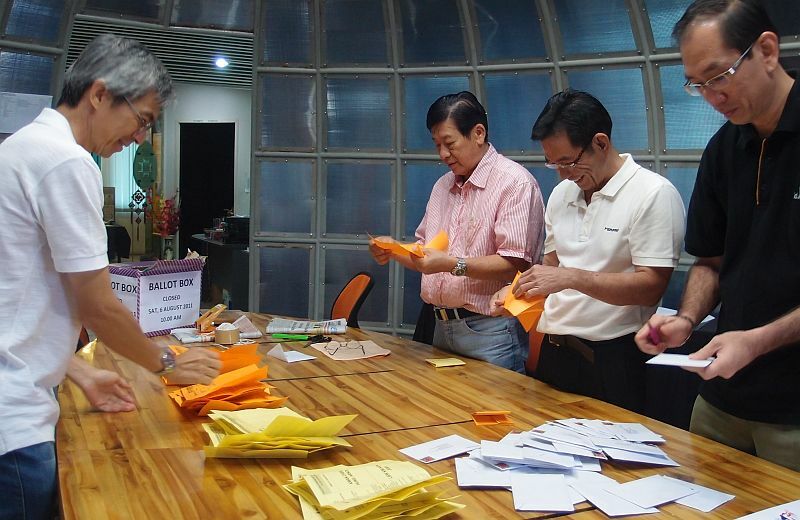 Jebb Liew was declared as the elected vice chairman with 37 votes against Ar. Arnold Kwan who only garnered 29 votes. After much debate on the issues of the eligibility of Ar. Lawrence Chin as the nominated Hon Treasurer at the special chapter committee meeting held on 27 July 2011, the election officer’s final decision decided to declare Ar. Lawrence Chin as the elected Hon Treasurer. Ar. William CK Ho was returned unopposed for the post as Hon Secretary. The AGM adjourned at 1.20pm followed by lunch.